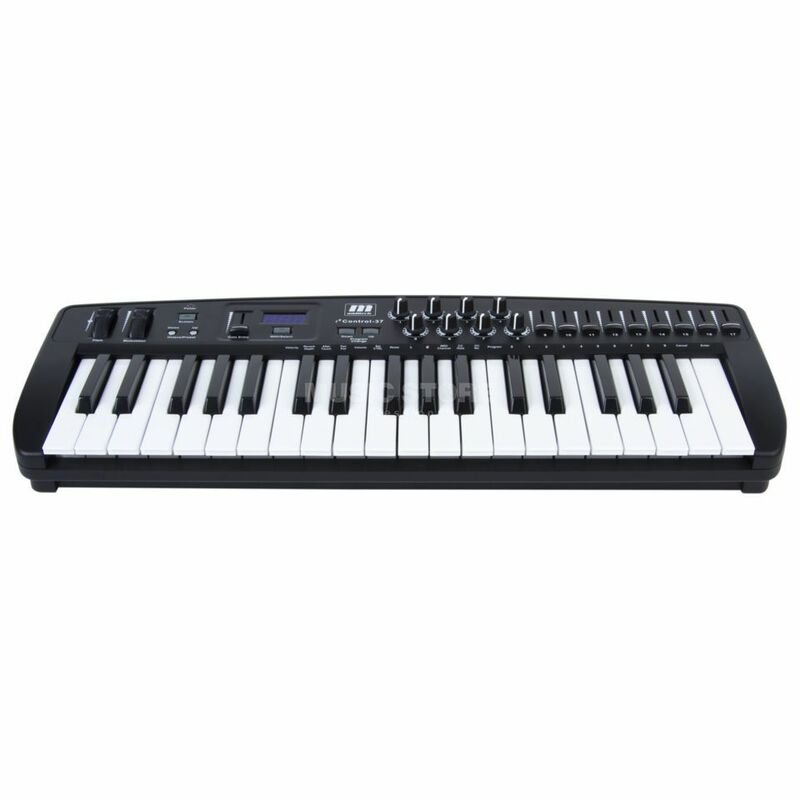 The Miditech i2 Control 37 is a great portable MIDI controller keyboard with 37 full sized velocity sensitive keys, eight assignable knobs, nine assignable faders, modulation & pitch wheels, octave up & down buttons and a very useful blue LED display. A simple USB connection will provide bus power to the Miditech i2 Control 37 and there are MIDI in & out ports on the back to allow for routing of MIDI devices. A great choice for the money! LCD display is useful for creating your personal settings. Its pretty hard to learn all the abilities of that thing in 1 day, so I would be testing it further.